oneywell, a leader in Connected Building technologies, has been awarded a certificate of recommendation by the Indian Medical Academy for Preventive Health (IMAPH) for the company’s Air Touch air purifiers in India. India is currently home to half of the world’s 20 most polluted cities. For the last several months, air quality in Delhi and the National Capital Region has been the worst of the season. The combined effect of smoke from crop burning in adjoining states and city pollution — from construction, vehicles and industry – has created unhealthy and unsafe conditions for people with respiratory ailments. Honeywell and IMAPH have collaborated to raise awareness about the dangers of indoor air pollution. The Honeywell range of Air Touch air purifiers is designed to help Indian families immediately improve the air they and their loved ones breathe inside their homes. Honeywell Air Touch air purifiers are designed to address the unique issues with indoor air quality in Indian homes as well as consumer needs and behaviors. IMAPH recommends Air Touch purifiers for their efficacy against different kinds of indoor air pollutants such as sealant, coating, adhesive, cleaning products, perfumes, fuel, airborne particles (PM2.5), bacteria, and odor. Honeywell’s range of purifiers, including the new Honeywell Air Touch I8 and A5 models, come with a three-layer filter system that includes a pre-filter, HEPA filter, and either the company’s patented HiSiv technology or an activated carbon filter. These layered filters eliminate large dust particles, bacteria, formaldehyde, harmful gases, and volatile organic compounds, and they offer a PM2.5 removal efficiency of greater than 99 percent. Honeywell Air Touch air purifiers have been designed to offer a superior and affordable user experience to deliver cleaner indoor air efficiently. 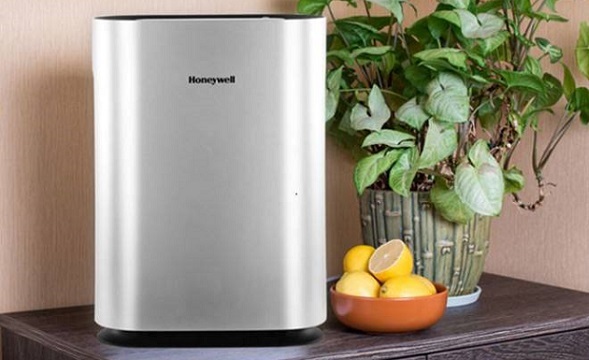 Honeywell is a leading brand in the indoor air purification space with one of the widest portfolios available to address pollution inside homes, cars, and institutions. Its complete range of air purifiers is available on e-commerce platforms such as Amazon, Flipkart and PayTM, and large and small retail stores throughout India.